Hugs for Hailey: Strangers Helping Strangers and Friends helping Friends. Strangers Helping Strangers and Friends helping Friends. One of the BIGGEST Hugs for Hailey supporters is Oscar's Market. They have been there for Hailey since hour 1. 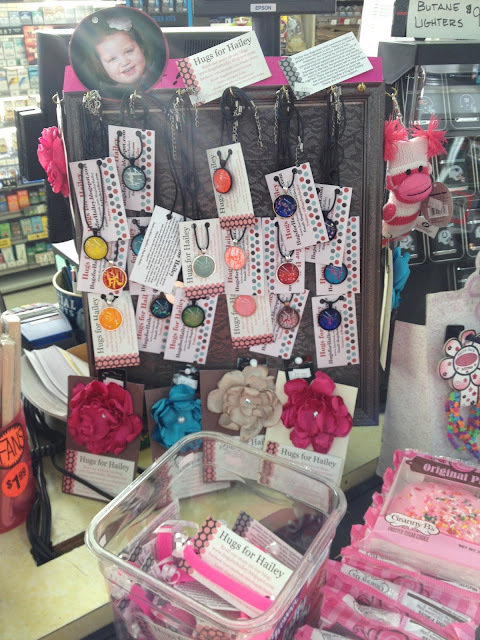 Oscar's has a display of Hugs for Hailey necklaces and bracelets, and flowers clips at the front of the store by the cash registers. It's always updated with the newest necklaces to come out. The owners of Oscar's Market are some of the best people on the planet! If you don't already know the owner's are Josh's Mom and Dad. Next up, the owner of Beauty and Things, Ms. Janell! I have always wanted to take Hailey in to get her nails done. Here in Vegas I have yet to find someone who is patient enough to work with Hailey and her spasms and be caring enough to not let it bother them. Janell has helped sell Hugs for Hailey necklaces and also introduced us to Bedford retirement home where Hailey went with her grandma to say hello to some of the residents. Hailey loves volunteering! Janell was kind enough to welcome Hailey into her salon and help Hailey and I to get matching manicures. You all know how much Hailey loves having her nails painted. Thank you Janell!! Another local business is Benny's Rod and Custom Pizza restaurant. The owner Benny truly cares for others when others are in need. Benny has done so much for Hailey, and all without every meeting her. 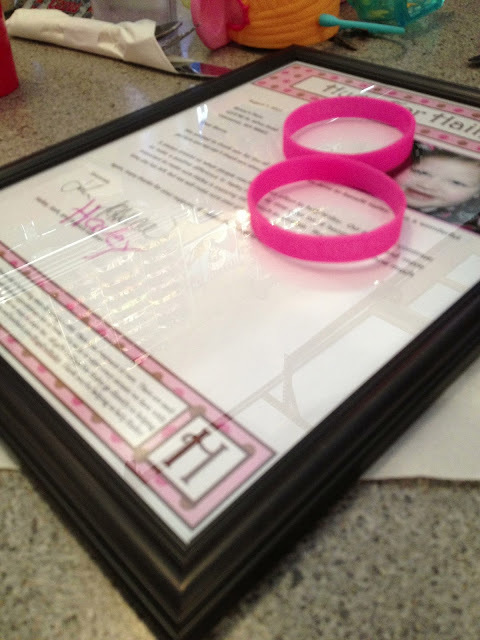 We wanted to give the owner a thank you plaque along with some Hugs for Hailey Bracelets. Thank you for all you have done Benny! 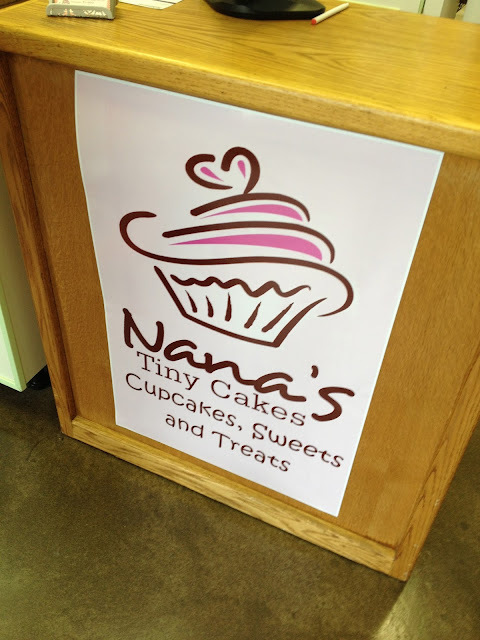 Nana's Tiny Cupcakes has helped during Hugs for Hailey fundraisers. We were able to stop in and pick up some cupcakes to take to Hailey's Open House. These tiny cupcakes are little bites of yummy! To be totally honest with you I kinda wanted to take one little bite out of each one. The flavors that are offered are delicious and unique! Thank you Nana's Tiny Cupcakes! These were such a hit at the open house!! There were a few other businesses that we will have to catch next time we are visiting Vancouver. Josh, Hailey and I want to thank everyone who have helped us and especially our little girl. We can't thank you enough! !